Office Printers: When to buy or lease? A common gathering place in several offices is at the printer/copier. Many employees find this as a place where they can escape their desks and stretch for a few minutes while picking up their printed items. 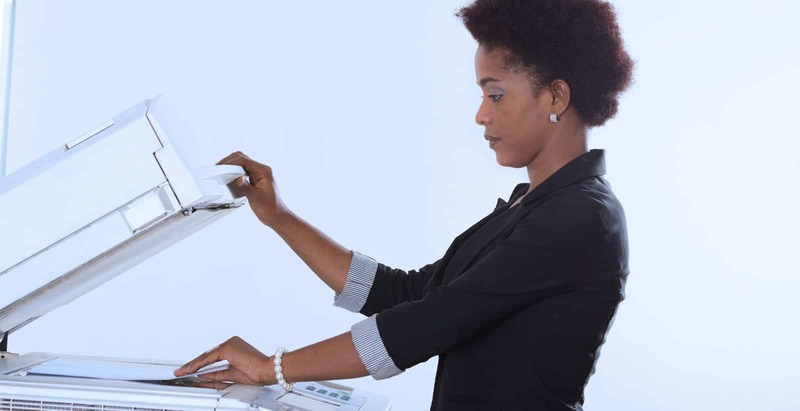 To business owners that rely on printing a printer can serve as a time and cost saving benefit, but can also be a burden if the printer is not operating to its fullest. When problems with a piece of equipment start occurring more frequently or it is just not working as efficiently as the day you purchased it, a question comes to mind…..Is it time for an upgrade? Below are some of the highlights that should help you decide whether it makes more sense for your business to buy or lease a printer. A printer will take quite a bit of wear & tear over the years. This rate of wear & tear depends on usage. If you have a business that does a heavy volume of printing your rate will obviously be higher than a business that is placing a light load on their printer. If your printer is breaking down more than during an extreme circumstance or the print quality has degraded likely means your printing is nearing the end of the road. With each newer model of printer, you have improvements to print quality, better ink efficiency and print speeds. These improvements on newer models can add quite a bit of value if your business relies heavily on printing. Purchasing your printer can save you money versus leasing a printer. If you have the funds at the time of purchase you can save money by not having to pay interest on the printer. You can also sell the printer when it comes time to upgrade. Printers will depreciate over time and the condition will also be a factor in how much money the sale of your printer will bring you. Another benefit of purchasing is not being tied into a contract. 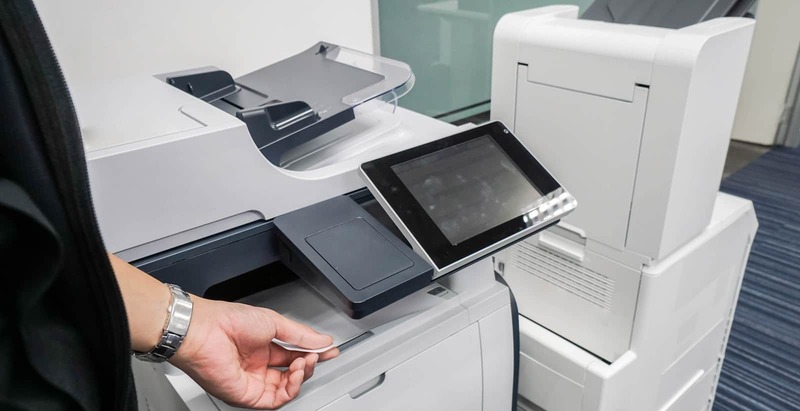 If your business owns the printer and printing habits change over time, the company can sell the printer and replace it with a printer that better fits their needs whenever necessary. If your office printer is something you plan to hold on to for a long period of time, this may be the option you wish to pursuit. Leasing office equipment allows a business to obtain the equipment they need without tying up funds that can be used for other areas of their business. Printer leasing will also help a company build up their credit. Like many other pieces of office equipment, printers improve with each newer version. At the end of a lease period the old printer can be replaced by a newer model hassle free. This can serve as a major benefit to companies that print heavy volume. Additionally, when a business leases a printer, they are not facing the technical issues associated with a printer that is well pasts its prime. If your business is looking to upgrade printers every few years you may want to lease printing equipment. Providence Capital offers flexible financing options that makes it easier for your business to get their hands on a printer. If you have interest in financing or leasing a printer for your business you may fill out our easy online application at no obligation or call 1-800-341-1288 to speak to one of our hardware finance experts. Read more about the other office equipment that Providence Capital can assist you with.